Twinkling stars and the calming current of the ocean seen through a noir filter provide the backdrop in the video for “Let Me Get There,” directed by Hope Sandoval herself. Endearingly odd, floating statues mouth the lyrics as the intimate narrative between Sandoval and Kurt Vile unfolds. 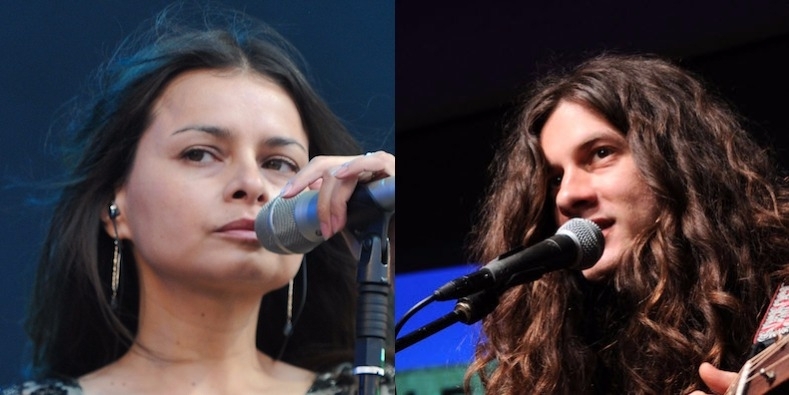 The song is featured on Hope Sandoval & The Warm Inventions forthcoming album, Until the Hunter, scheduled for release on November 4 via Tendril Tales. A captivating intimacy silhouetted by a hypnotic surf/dream-pop groove, “Let Me Get There,” the new single from Mazzy Star singer Hope Sandoval & The Warm Inventions, is a song whose subtle intricacies stick. The track, which also features Kurt Vile, plays off the relaxed, heart-warming vocal duet/conversation as delicate keys and the light yet firm grasp of the twisting backend meet with warm stretches of guitar, hitting against the shore. The single is featured on the forthcoming album Until the Hunter, which will be released on November 4 via Tendril Tales. 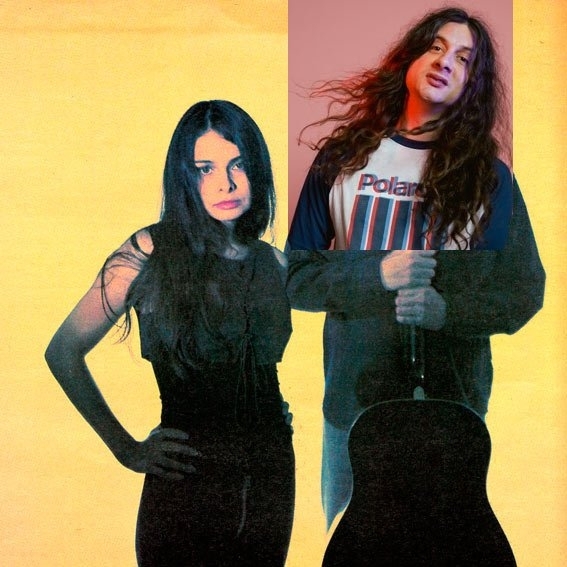 Check out Kurt Vile getting totally awkward during his tough interview session with Piper from Kids Interview Bands! The Q&A took place on Kurt's tour bus before his show on April 2, 2016 at the Newport Music Hall in Columbus, OH. Is it more awkward than Matablog's April Fools' Day Kurt Vile GQ cover (above)? You tell us. 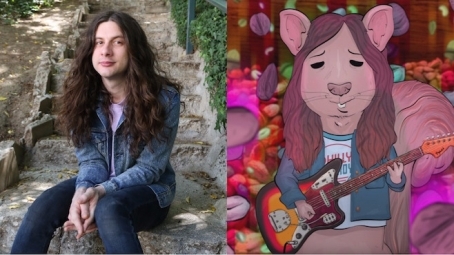 Kurt Vile's stardom has transferred to the small screen of the HBO/Duplass Brothers series Animals, "about anthropomorphic New York City animals." Check out a squirrel version of Vile as he croons his latest tune, "Eatin & Goin Nuts, Man"! The new video premiered earlier today over at Pitchfork, along with some additional dates to his already extensive tour, and you can check out the complete episode of Animals this Friday. 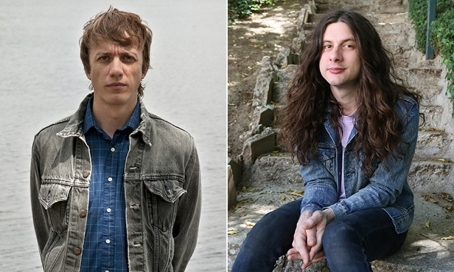 Longtime music pals Kurt Vile and Steve Gunn have collaborated for the first time in the studio with their new EP, which is part of Three Lobed Recordings's Paralellogram series. The album was recorded and mixed by Jeff Zeigler at Uniform Recording. The six-song release features covers of John Prine's "Way Back When," Randy Newman's "Pretty Boy," & Nico's "60/40" along with originals, and contributions from Mike Sneeringer on drums and Mary Lattimore on harp and piano/synth.